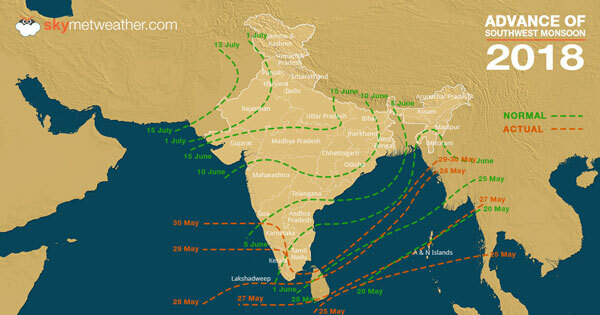 Progressing at a steady pace, the Southwest Monsoon has now covered entire Kerala, most parts of Coastal Karnataka and some parts of South Interior Karnataka and some more parts of interior Tamil Nadu on May 30. It has also advanced further into some parts of central Arabian Sea. The Northern Limit of Monsoon (NLM) is currently passing through Latitude 14°N/ Longitude 60°E, Latitude 14°N/ Longitude 70°E, Shirali, Hassan, Mysuru, Kodaikanal, Tuticorin, Latitude 9°N/ Longitude 80°E, Latitude 13°N/ Longitude 85°E, Latitude 18°N/ Longitude 90°E and Latitude 1°N/ Longitude 93°E. With good rain and thundershowers going on over northeastern parts of the country, the weather conditions are now favourable for the eastern arm of the Monsoon to make onset into some states of Northeast India like Nagaland, Manipur, Mizoram and Tripura in the next 48 hours. Now, with the well-marked low in Arabian Sea getting less marked, western arm of Monsoon would now take some time to progress. But with another cyclonic circulation likely to form in Bay of Bengal, Monsoon would move in another 48-72 hours and cover some parts of South Peninsula. The likely system would increase rainfall over interior Tamil Nadu, Andhra Pradesh and Telangana. Not only this, system would also be responsible for taking Monsoon to central and western parts of the country including Mumbai. 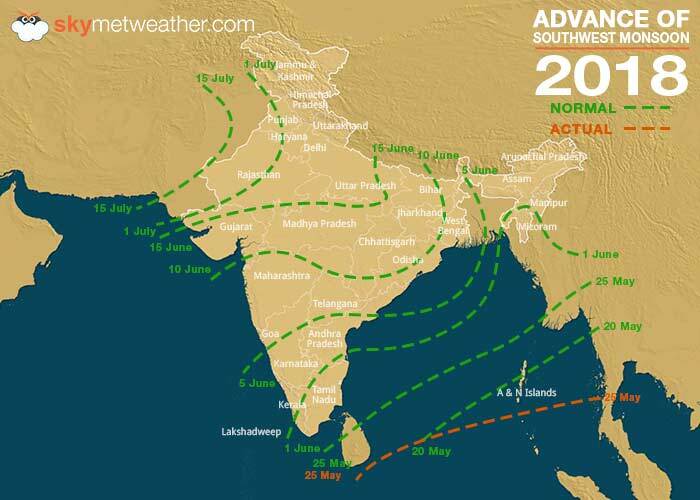 Southwest Monsoon 2018 has finally made onset over Indian mainland of Kerala on May 28. As predicted by Skymet Weather, it was a powerful onset with the Monsoon surge covering most parts of Kerala at one go. Besides this, it has now covered remaining parts of Southeast Arabian Sea, Comorin­Maldives area, entire Lakshadweep Islands, some parts of Tamil Nadu and some more parts of southwest, central and northeast Bay of Bengal. The Northern Limit of Monsoon (NLM) is currently running across Latitude 12°N/ Longitude 60°E, Latitude 12°N/ Longitude 65°E, Latitude 12°N/ Longitude 70°E, Kannur, Coimbatore, Kodaikanal, Tuticorin, Latitude 9°N/ Longitude 80°E, Latitude 13°N/ Longitude 85°E, Latitude 18°N/ Longitude 90°E and Latitude 21°N/ Longitude 93°E. With well-marked low pressure area in Arabian Sea, conditions are favourable for further progress of Southwest Monsoon. In next 24 hours, it is likely to cover some parts of Kerala and remaining parts of central Arabian Sea, some parts of coastal and South Interior Karnataka, some more parts of east-central and northeast Bay of Bengal. After reaching Andaman and Nicobar Islands, Southwest Monsoon 2018 has now started its journey ahead. 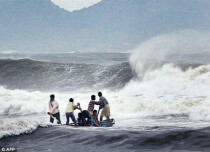 Travelling in favourable conditions, Monsoon surge has further progressed into some parts of South Arabian Sea and Maldives ­Comorin area. 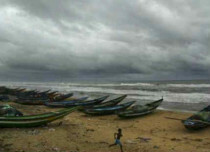 It has also covered some more parts of south Bay of Bengal, Andaman and Nicobar Islands and Andaman Sea. 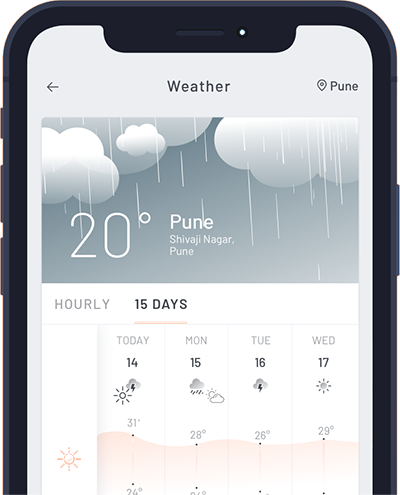 The Northern Limit of Monsoon (NLM) is currently passing through latitude 5°N and longitude 70°E, latitude 5°N and longitude 75°E, latitude 6°N and longitude 80°E, latitude 8°N and longitude 85°E, latitude 11°N and longitude 90°E, Mayabundar, latitude 15°N and longitude 95°E and latitude 17°N and longitude 98°E. 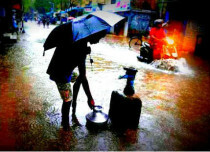 According to Skymet Weather, the low pressure area in Arabian Sea and likely low pressure area in Bay of Bengal have kept the weather conditions suitable for further advancement of Southwest Monsoon into some parts of South Arabian Sea and cover entire Comorin­Maldives areas, some more parts of South Bay of Bengal, Andaman Sea and Andaman and Nicobar Islands during next 24 hours. In fact, with both the Monsoon systems getting more marked, Monsoon would soon make onset over the Indian mainland of Kerala. Subsequently, Monsoon would also cover some more parts of South Arabian Sea, Comorin area, some parts of Lakshadweep, South Tamil Nadu, some more parts of south Bay of Bengal, remaining parts of Andaman Sea and some parts of East central Bay of Bengal during subsequent 48 hours. The much-awaited Southwest Monsoon 2018 has finally arrived over some parts of Southeast Bay of Bengal, South Andaman Sea and Nicobar Islands. The Northern Limit of Monsoon (NLM) is currently passing through latitude 5°N and longitude 80°E, 8°N and 87°E, Car Nicobar and 11°N and 99°E. The arrival of the four-month long season has been slightly delayed by almost three days. Blame it all on Cyclone Sagar and Mekunu that had kept the Monsoon 2018 waiting till now. According to weathermen, the conditions for the advancement of the NLM are favourable over some more parts of South Arabian Sea, Comorin­Maldives areas, some more parts of South Bay of Bengal, Andaman Sea and Andaman and Nicobar Islands in the next 24-48 hours. It will take about 3-4 days from the current position for the Monsoon to strike Kerala. 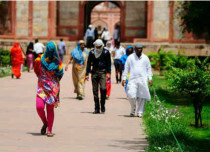 This means that the onset would be earlier than the official date of June 1, which corroborates Skymet’s prediction made in its Monsoon forecast 2018. Not only this, we expect Monsoon 2018 to make a forceful onset over Kerala, with moderate to heavy rainfall likely at many places. As per weathermen, the persisting cyclonic circulations over Arabian Sea and Bay of Bengal will become more marked soon, making way for the further advancement of Monsoon over more parts of Bay of Bengal and Arabian Sea that includes Sri Lanka and Kerala. Subsequently, these features are building up the scenario for the further advancement of Monsoon over Kerala, Karnataka, Tamil Nadu and rest parts of Peninsular region. This would include major cities of Chennai and Bengaluru.